I’m watching my terminal as Homebrew installs during my latest episode of yak-shaving. I feel a strange urge to explore the Homebrew site, a step that has nothing to do with the reason why I’m here. Hi, I’m Cliff. You’re here as the result of an unfortunate chain of events. You probably started to wash laundry when you realized you were out of detergent. On your way out the door to get detergent you noticed the handle was slightly loose and decided it needed to be tightened. Somewhere between looking for the screwdriver to fix the door something prompted you to check your email, before long you found yourself on Facebook where my post caught your eye. That’s one possible reason why you’re here. I’m here because some four footed hoofed creature with too much hair demanded my attention. Have you ever found yourself downloading an OpenGL & SDL framework while watching a tutorial when what you really needed to do was install a missing JDBC driver? Today I found myself in a similar situation where I merely wanted to change a dependency in my Android project. That got me thinking about dependency management on iOS, and hey I just learned about this cool project called CocoaPods. To install Cocoa Pods I need Ruby. I can’t install Ruby the old school way, I’m downloading RVM! RVM’s install directions use the gpg command which isn’t available on Mac OS X. I need Mac Ports or Homebrew to install the Linux package. NO!!! I refuse to get side tracked with Homebrew! I’ll skip the gpg step and just use the curl command to direct install without checking security signatures!! The RVM install completes and while I install Ruby I notice the shell is going out to Homebrew land to automate the install. Gosh, I haven’t looked into Homebrew in over a year… I should check out their webpage to see what’s new. It’s always good to get the latest scoop on long living tech like Homebrew. 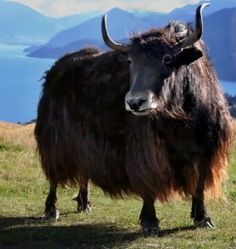 Yak shaving is the work of doing meta work in order to do actual work. Extreme yak shaving is the distraction that results from work of doing the meta work. I am installing software (Homebrew) to install software (ruby) to install software (Cocoa Pods) which I’ll use to install my iOS software dependencies. I’m not even getting into the learning curve associated with this major distraction. Am I losing it? (Don’t act like it’s just me! Some of you are waiting on a Unity or gaming engine download right now because you ran out of toilet paper!) How do we get some many layers of abstraction between us and the work we actually intend to do? I’m thinking eventually things will swing in the other direction as they always do. Instead of using systems to manage the install of managers that install frameworks we use to build systems (which ultimately manage the install of managers that install…) we will obsess over slim code and vanilla iOS/Java. Languages like Go are already becoming mainstream I’m waiting for the idea to spill into mobile which has currently gone the way of EJB. Until then I’ll keep watching my progress bar fill while the next software installing software installs. I’ve been quietly working on a chat app. I built one a long time ago which has been sitting on Github forever without any updates, but I’ve also recently pushed my Android “how to” to Github, you can find it here. I love working in both the Android and iOS space as I get a unique insight that I try to share with others. I also like to compare both the development process and tooling across both platforms. Hi, I’m Cliff. You’re here because you want to build a better chat app. I’m here for much the same reason. With apps like Skype, Line, whatsapp, and others crowding the space you might wonder “what’s the point?” I’m embarking on this experience partly to familiarize myself with what’s changed in iOS 7 but mainly just because. Maybe it will turn into something or maybe it won’t. I’m my latest effort I’ve actually tried updating Jinx to support iOS7. My first stage has begun with introducing Storyboards and playing with Autolayout. I will later ARC-ify it and rip out the dumb artificial intelligence in favor of what I have in the Android example. Finally I want to incorporate P2P networking, voice recognition and TTS in both apps but that will have to wait until I hit the lottery and can afford to quit my job. (I’m just brimming with ideas!) If you have ideas or insights, feel free to jump in!